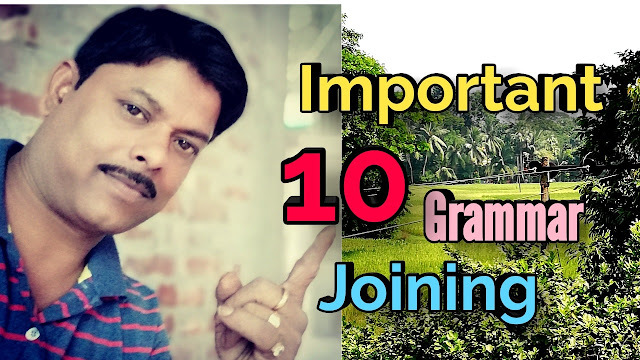 Hi students today we will discuss about some important joining of grammar for class 10 in order to help you to understand the process of joining . He is too old to walk fast. This is a new pen which I bought yesterday. I know that he is a good boy. The cat which is fond of ease cares only for Mice and milk. Ramesh is not only an excellent singer but also plays the guitar well. The little children saw the giant playing in the garden. He could not attend school because he was ill. Being Numb with shock I got into the car . Ramu has some money to buy books.